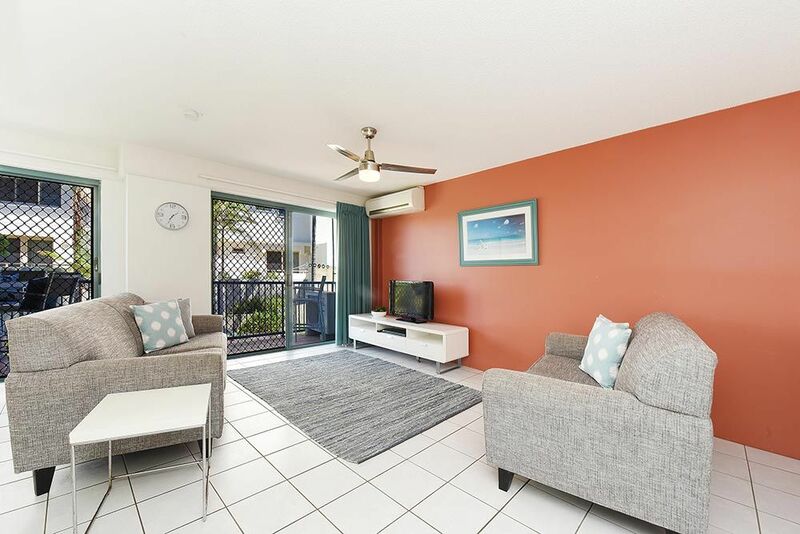 A pleasing welcome to Kings Beach, this 2 bedroom, air conditioned apartment on level 1 of Lindomare Apartments has all the comforts to make your seaside getaway happy and restful. 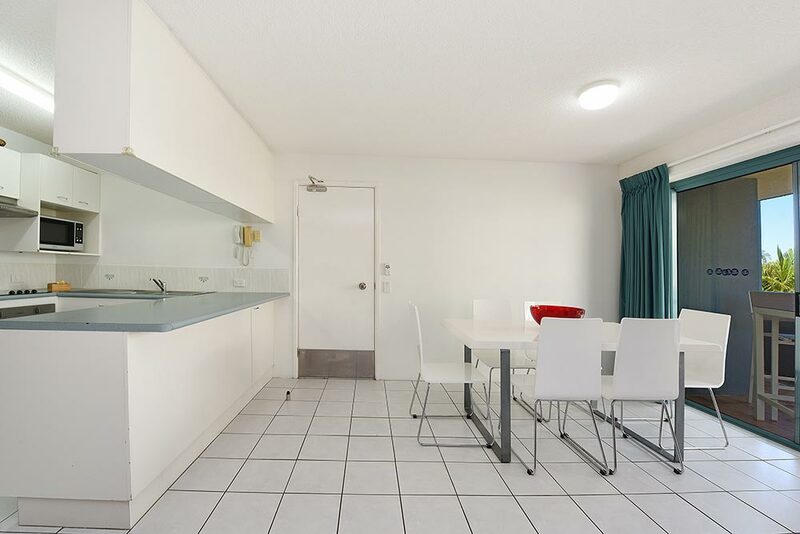 Casual furnishings complement this fresh apartment with flat screen television and DVD player for your enjoyment while you relax in the living space. Dining options can be for indoor, or outside on the spacious balcony while taking advantage of the Kings Beach sea breezes and salty sea air. 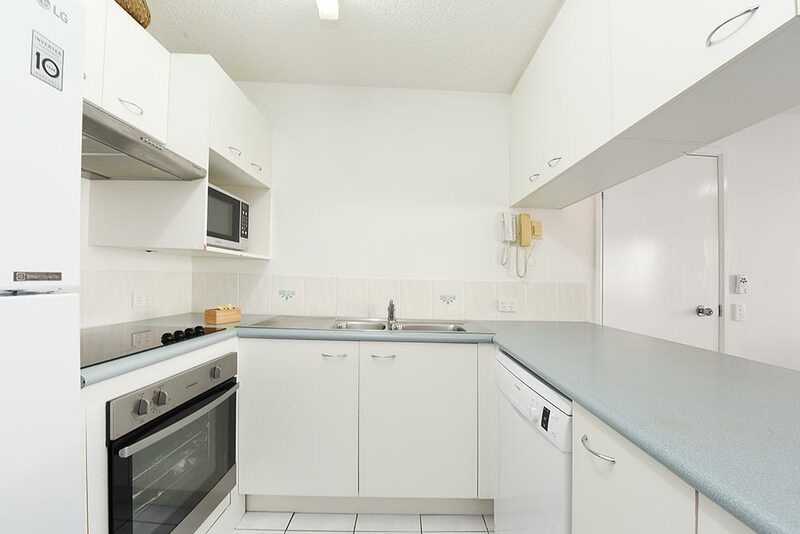 With a fully equipped kitchen including large capacity fridge, stove top and oven, microwave, dishwasher and plenty of kitchen utensils and appliances, your meals and refreshments can be as simple or indulgent as you choose. 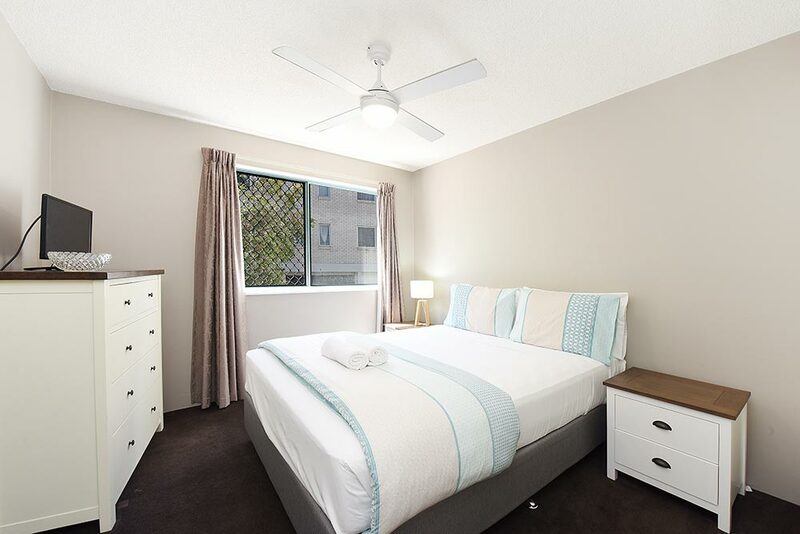 The master bedroom is complete with Queen ensemble, remote control ceiling fan, built in wardrobes and flat screen television for all round comfort. Single ensembles in the second bedroom, also with remote ceiling fan and built in wardrobes, provides a pleasant space for guests also. 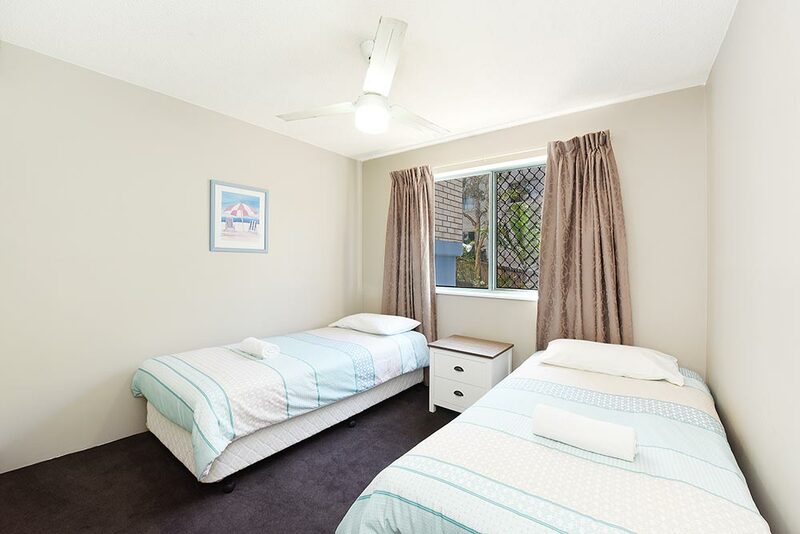 Large windows to the west allow for plenty of sunshine in both of these bedroom areas. 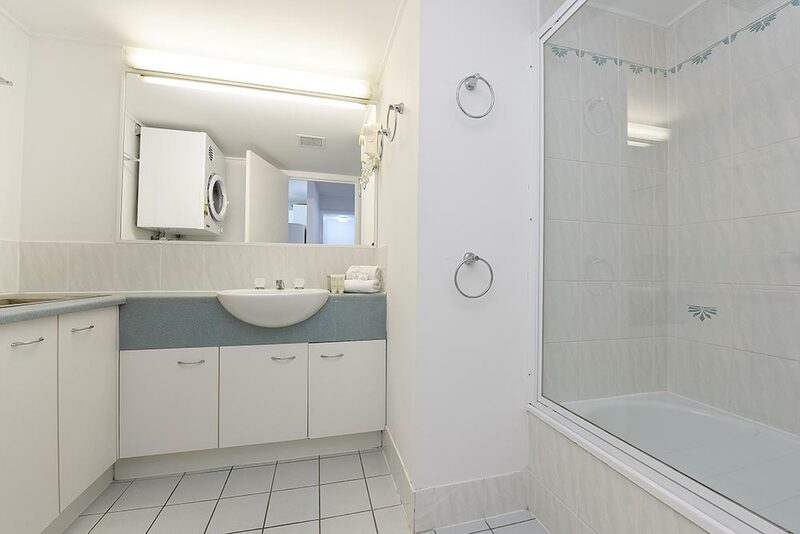 A fully equipped laundry with washer, tumble dryer and laundry tub is included within the bathroom area. A large vanity and combination shower/bath completes this space. This apartment has a secure, off street garage space, which is accessed from the lower entry driveway of our apartments.